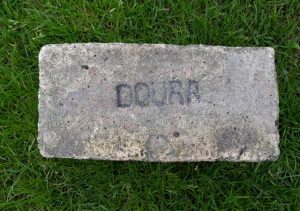 Found in Scotland but the exact location is unknown. 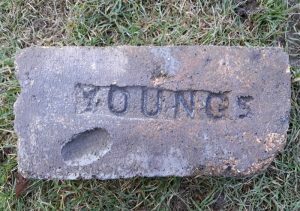 Find location would suggest Scottish origins. 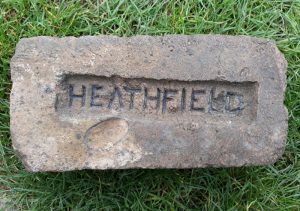 8 cored red clay brick with lifting tool marks. 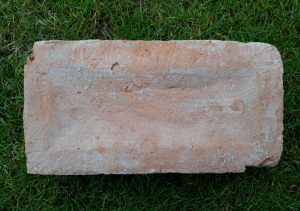 This is unusual in that the lifting tool is not designed to fit into the brick cores. 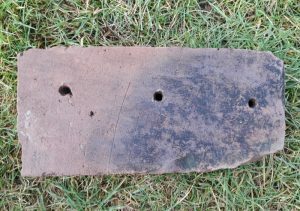 The tool looks to be made from 2 flat and narrow prongs. The prongs are 2 5/8″ apart. 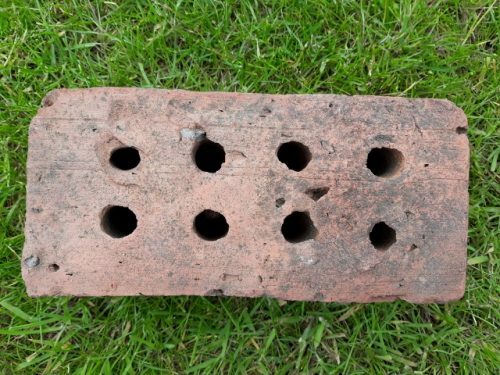 The right prong has penetrated to 2″. 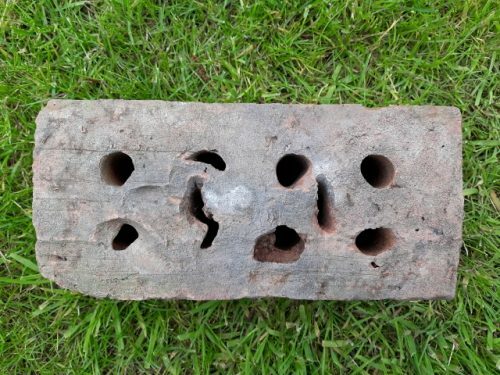 The left prong was initially stuck into the brick but it has emerged within a core channel and thus the depth of penetration cannot be ascertained. 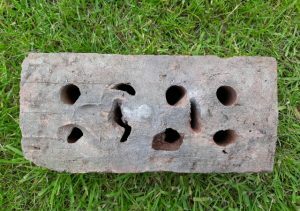 There are other indentaions and marks around the bottom left core of the photo below and the top left core of the second photo. These may be finger impressions. 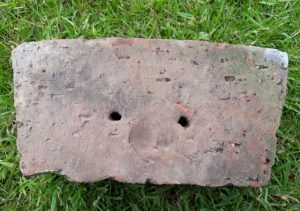 Previous Article Brick with lifting tool marks. 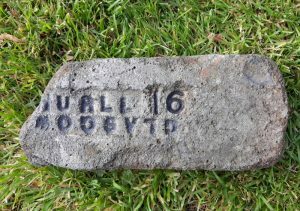 Found by Eddie McLean in Glenboig. 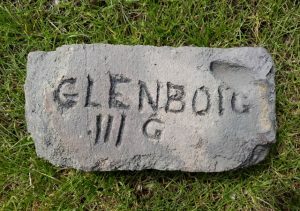 Glenboig Union Fireclay Company, Glenboig, Lanarkshire. 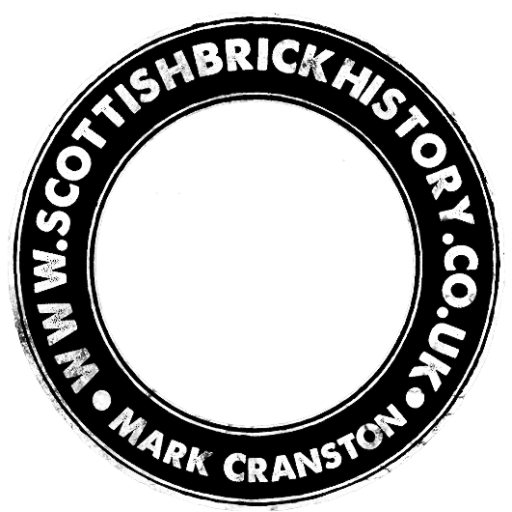 Alternative brickworks include: Glenboig Star Fireclay Works, Glenboig, Lanarkshire. 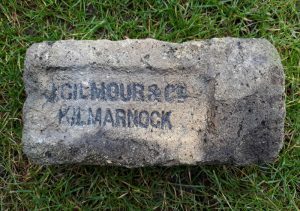 Glenboig Fireclay Works, (Old Works) Glenboig, Lanarkshire Glenboig 111 G or Glenboig III G Note the large thumbprint to top right.